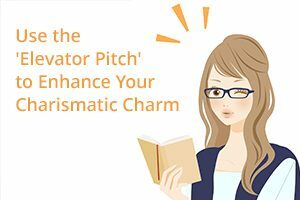 Ever heard of the “elevator pitch”? Business people and creative types (writers, inventors, consultants) run into someone important. Literally in an elevator. They need to tell them about their business. Or share the basic idea of their novel. Because this person could help them. But again – they are in an elevator. They only have a few seconds. So an “elevator pitch” is a catchy hook. Or a quick, memorable summary. To get someone excited about you. Or your idea. Can you see how this might be helpful in dating? You can use this idea to hook a guy’s attention for romantic reasons too. Let me lay it out for you. We have horrible attention spans. And they’re getting worse. In 2000, research found that the average person will pay attention for about 12 seconds. Well, they did the study again in 2015. Guess what the number was? 8 seconds. Thanks a lot, smartphones. Then there was a Rutgers University study. It found that people form snap judgments about others in as little as 6 seconds. So let’s say you’re talking to a guy. Wondering how to make him think you’re interesting. Attractive. Dateable. Sorry. Too late. He’s already decided. You’ve missed your window of opportunity. And I’m going to tell you exactly how to do it. An elevator pitch for a business idea might involve tossing out an impressive sales figure. For an invention, you focus on the dramatic benefit your invention will bring to customers. So how does this translate to a personal pitch? A pitch to get a guy interested in you? You want to come up with a clever, memorable way to introduce yourself. A way that does this as quickly as possible. And then you want to memorize it. Because 50% of an “elevator pitch” is feeling comfortable. Not getting tongue tied. Not forgetting something important you want to say. Practicing it will make it sound natural. You’ll feel confident. At ease. And he’ll be drawn to this. Here’s how you start. Think of your best traits. Maybe you’re smart. Or funny. Or caring. Whatever your best traits are, you want to communicate them. Without simply listing them. You need to show him you have that awesome trait. That’s your job in a personal elevator pitch. To quickly show him what’s best about you. Do people think you’re funny? Then your introduction might include a touch of humor. Got big brains? Then make sure your introduction offers a hint that another intellectual type would be sure to catch. Just make sure you sound natural and relaxed. Don’t forget to actually introduce yourself. Say your name, along with something memorable that defines you and makes you stand out in his memory. This is different from practicing pick-up lines. Because you’re focusing on you. Which will get him to focus on you. You’re practicing the art of a personal introduction. Remember, practice makes perfect. Brainstorm a single idea and try it out. Get comfortable. See how it works. You’ll likely improve your “batting average” simply by practicing. Because you’ll be focused on what makes you interesting and memorable. You’ve spent your entire life refining who you choose to be. 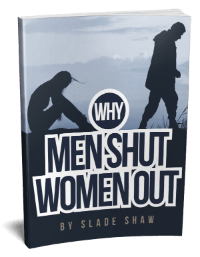 Why not take a few minutes to practice expressing the essence of who that special person is? This entry was posted in Communication, Dating, How To and tagged charisma, confidence by James Bauer. Bookmark the permalink. Can one get this in a book form or is it only on a dvd ? If I order,what will I receive in the order Pk? Thank you! I love this article!